Smartwatches promise a world of innovation right there on our wrist. So far, they’ve mostly delivered. Now we can check texts, check our vital signs and even talk on a video phone just with this little thing on our arm that was originally invented to just, gasp, tell the time. There will be no time telling on wearable technologies watch, that is for(they can still tell time.) In any event, as more and more features get added to the smartwatch genre, they will slowly go from niche “that looks kind of cool” items to “holy crap I must have this now” items. On that later note, here is a new functionality that Samsung just added to their line. 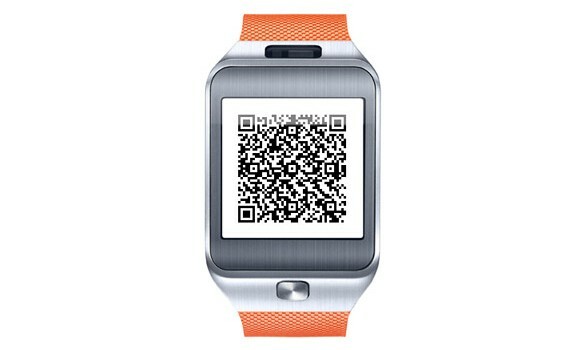 Samsung has teamed up with Iberia to allow their Galaxy Gear smartwatch line to feature boarding pass technology. What this means is, you don’t have to go and get your boarding pass when you get to the airport. You don’t even have to dig out your smartphone. All you do is flash your wrist, and you’ll be good to go. Of course, you’ll still have to take off your shoes and belt and stuff and go through that whole thing. Hey, it’s a smartwatch, not a world-changing, eliminate airport security watch. This tech hasn’t shown up in any operating system updates as of yet, but one assumes it won’t be too long now. It will be showcased in Brazil at first, with other countries(presumably America) getting the functionality further down the line.